My blog, Pieces to Patch, was nominated for the Liebster Award. When I started blogging Pieces to Patch; I wanted to share shortcut techniques that made piecing traditional blocks easier, and post the links or tutorials for these techniques. I received my nomination from a blog called Craft Eccentrics. Thank you Craft Eccentrics, and I am so grateful that you thought my blog was worthy of this award. I’ve read the rules, and I’m ready to share my blog and promote other bloggers and their blogs. When I read the nomination. I felt the same way Craft Eccentrics felt; I knew nothing about this award, so I went to The Pea Green Boat , and I also Goggled it to find more information. I wanted to know what I was agreeing to. 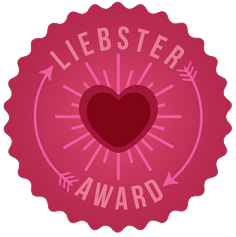 Basically the Liebster award is a chance to learn about other bloggers and find new and interesting blogs. It also helps to show appreciation of other blogs. The rules vary over time but the basic Idea is to answer the questions chosen by the person who has nominated you, then ask your own set of 10 questions to your 10 nominated bloggers. 4. Nominate 10 other bloggers with up to 200 followers and inform them by commenting on their blog or contacting them. 1. What is your favorite sport? I’ve never been into sports. Therefore, I don’t have a favorite sport. I will occasionally watch football, basketball or even baseball, but it’s not a necessity. 2. Do you play it or are you a spectator/official/supporter? I don’t play any sports, so I would be a spectator. 3. What type of house do you live in? I live in a Multi- family house; that has three bedrooms, a living room, dining room, kitchen, and two and a half bathrooms. I have been blessed with two wonderful neighbors and their dog. 4. If you drink wine do you like red, white or sparkling? If not, what is your favourite drink? I am an occasional drinker, so when I do drink I prefer a white wine. 5.What is your favorite program on TV? Masterpiece Mystery! My favorite mysteries come on this television program (Channel Thirteen, PBS). I really love watching Miss Marple, Inspector Lewis, Peirot, Midsomer Murders, and many more . . .
6. Have you ever lived in a country other than the one where you live now? If so, which one? No, I’ve never lived I another country. 7. Who is the most important person in your life and why? As I grow and mature there are so many important people in my life. As a child my mom’s oldest sister (my aunt Babe) and my grandma Grace were most important because they taught me to love crafting; sewing, knitting, crocheting, etc. I feel that in each season of my life someone else becomes the most important to me. At this time my family, especially my grandchildren are the most important people in my life because they are so impressionable and loving. 8. What is your favourite flower? I never thought of a favorite flower, because I love flowers and their wonderful fragrances. I do like lillies. 9. Would you ever sell up everything and go back-packing around the world? It’s never too late to try something new, so I guess I would do it. This would be a time for me to stop just existing and begin living life. 10. Is there a craft you haven’t tried but would love to? If not, what is your favourite craft? I would love to learn how to silk screen. 1. 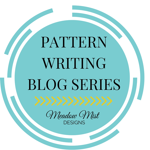 How did you choose the title of your blog? 3. How much time do you dedicate to your blog? 6. Of all the blog posts you have written which do you like best? 7. What type of books do you enjoy reading? 9. What’s your happiest memory as a child? 10. What was the last song you listened to? Thank you! I’m enjoying this!